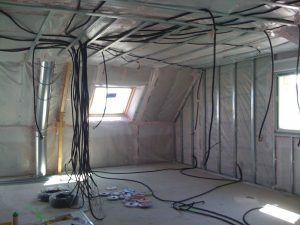 The Québec Construction Code has just validated the implementation of this new standard, which concerns the transmission of data, sound and voice, through wiring. 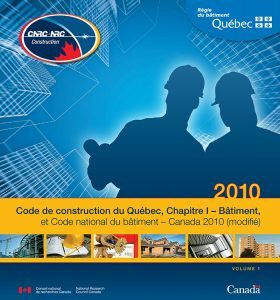 The National Building Code 2010 has been subject to a number of changes, changes made by the Building Code Commission in Canada. For Québec and Gatineau, in Chapter I, Building, we find all the provisions already in service since 2000 and added to the NBC 2005. New constraints have been added while some measures in the NBC 2010 have been eliminated and others were changed to promote compatibility with the Building Act. According to the new texts in force, it is essential that the cables provided for the transmission of data, sound and / or voice receive a FT6 marking. This is valid when the wiring in question is intended for insertion into the ceiling or into a room used as a plenum. But the exception concerns the cables that must be inserted in a metal pipe. This measure applies to all work involving the modification of a building, whether in part or in full. Logically, the layout is mandatory for new constructions. Each new wiring installation within a building must comply with the constraints set out in 3.1.5.18 and other NBC standards. However, this does not apply to existing wiring that already meets current standards. So they can stay in place. However, in the event of a replacement, part or assembly, each replacement cable must conform to the recommendations of the 2010 amended NBC Québec, the current provision. This new standard was implemented on December 13, 2016. An 18-month transition period is planned for buildings that do not yet comply with this regulation. However, there are buildings that are free of this constraint. Please see the Building section in the Construction Code for more information.